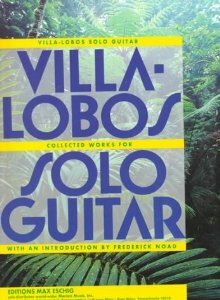 If you don’t know the Villa-Lobos etudes then I suggest you become familiar with them right away. They are possibly the most significant etudes of the twentieth century due to their technical challenge, wealth of musical ideas, and pedagogical value. They are, however, quite difficult. At the same time, the point of an etude is not always purely technical and that’s where Villa-Lobos really shines: the etudes are impressive concert works because they are good music; this can’t always be said of, for example, the Carcassi etudes. If you search google you can likely find the drafts in Villa-Lobos’ hand. Try scribd.com too as I’ve seen it on there. I won’t post it here since it’s questionable on the legality side. However, there are some mysterious differences. For example, in Etude 10 of the Eschig edition there appears to be a page missing (after that weird glissando that goes nowhere!). However, you can also waste a ton of time questioning the editions out there when you should probably stick with what has been accepted as ‘the edition’. Depends on how frisky your feeling! There are tons of great recordings. I can’t recommend them all, sorry. Here’s one possible suggestion by the excellent Brazilian (bonus points) Fabio Zanon. I grew up on the Bream recordings which are great for ideas but this recording by Zanon is much closer to what I feel the etudes can be. Hope you’ve been enjoying our theme weeks. 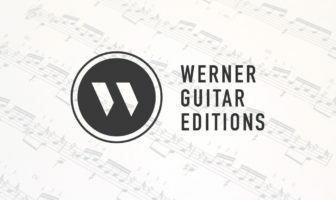 Leave a comment letting us know about etudes you enjoy or suggestions for new themes!